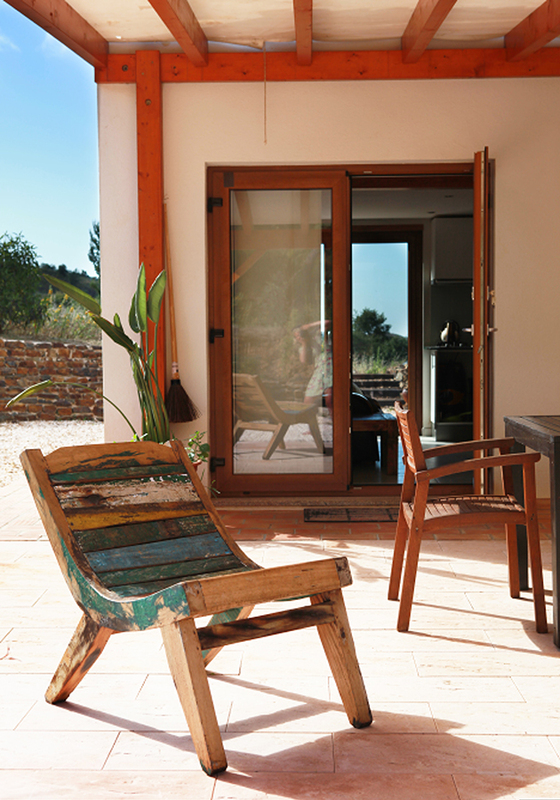 Other Accommodations — Tipi Valley is an ecological surf and yoga retreat in the western Algarve, Portugal. Shorter and longer holiday stays from us are also available without the all-inclusive program or other retreat services. You can stay and create your own unique holiday experience or partake in activities and services offered through our partners in the area. When you stay as a guest in the area only and not on a program, we let you have your own space and privacy but are available if you need any help arranging activities or making the most of your stay within the algarve. Surfing, yoga, food, transport and massages are all available on an a la carte basis. The Tipi Valley Guest House is situated in the beautiful Costa Vicentina Natural Park, Portugal. One of the last untouched regions of Europe. This newly built small and cosy two storey passive dwelling is the ultimate getaway. Running on solar energy, tastefully finished and naturally insulated it has natural clay rendered walls and water sourced from within the property itself. This house has stunning views down the valley to the ocean. Although very peaceful, quiet and secluded, it is less than five minutes drive to Aljezur village and also to two nearby beaches. There is no traffic noise, light pollution or nearby neighbours here. Just the stars and the sounds of nature. The house is bordered by ancient cork oak trees and the stunning ocean view in the distance is enclosed by a rugged mountain backdrop. There are lovely walks within the property, or you can stroll down to the nearby river. It is ideal for a couple but can also sleep four with either two single guest beds or a double bed provided. Discounts on longer periods may apply. Facilities: A compact modern kitchenette. wifi, flat screen tv and vcr are in the house. A large wooden pergola with ample shade and bbq, large dining table for 6, a hammock and sun chairs. The house is split level approximately 30 square mtrs on the ground and has a small loft area of around 20 square mtrs. This stunning region is a highly sensitive ecological zone. We help to protect our environment with responsible ecotourism and low impact activities that are aligned with our empathy for nature. We leave you for your own space and privacy but should you need any assistance to arrange activities or require help to maximize your stay, we are always happy to assist. Just ask !